As they would for any other computer purchase, consumers looking to buy a new desktop computer ought to take into account why they actually need one. Gamers or people who work in digital audio and video might need a more sophisticated machine, while others may just want something that allows them to peruse the internet at their leisure. Below are a few other considerations for those buying a desktop. The amount of money a consumer spends on a new computer likely will correlate to how much power they need in their unit. Choosing the right one for them may minimize the need for professional computer repair. • Casual users can find affordable compact desktops for only a few hundred dollars, and these machines offer relatively standard features backed by simpler power components and smaller hard drives – around 320 gigabytes. • Most mainstream desktops are available for nearly $1,000 and offer hard drives with around 500GB and 4GB of RAM, which will allow stronger performance than compact PCs without exorbitant costs. • Users who need a powerful computer can shop for high-performance desktops, which can cost upwards of $1,000 and offer superior processors, lots of memory and sophisticated graphics and audio cards. • All-in-one desktops vary in size, performance and cost. They're identified by their design, which stores all of the computer's components behind the monitor, providing the easiest set-up and the benefit of fewer cords. Apple offers its own suite of Mac desktops, including the budget Mac Mini, flagship all-in-one iMac and the high-performance – and high-cost – Mac Pro. Though consumers can often find desktops for cheaper prices than even the Mac Mini, Apple desktops have been relatively popular for their quick learning curve, simpler designs and because less malware has been designed for them. 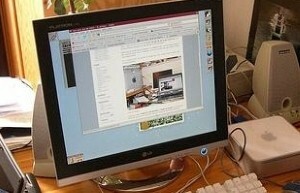 It's typical for consumers buying a desktop computer to get more than they bargained for. Some manufacturers add on a host of promotional software designed to market certain products to new computer buyers. 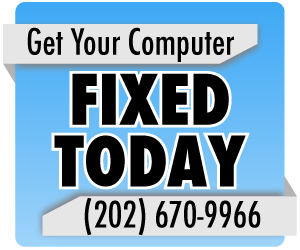 It can be difficult for users to know which of these programs are important and which can be deleted, and it may be best to consult a Washington, D.C. computer repair specialist if it appears excessive add-ons are slowing down a new computer's performance.